If you’re learning Korean, will you come to my blog? By the way, online Korean bookstore twochois.com and seoulselection.com ship internationally. Personally I think textbooks published by Korean publishers are better then the ones published in US. Hi. Thanks for commenting. Which textbooks would you recommend to our readers? i want to study Korea more . I’m so glad that I find something for this..
I’m from Finland and wanna learn Korean language. Hi Gigi. Thanks for your comment! I have this book for Japanese and it gave me (and Japanese locals!) a lot of laughs! I have the Korean one too but I haven’t really used it yet. As a Korean, it’s good to see that you’re recommending Korean studying books! Have a good day~! ???? ????! 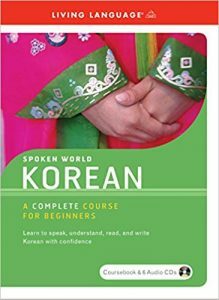 Thanks for the recommendation, I find it useful to me, as I am a beginner and looking for a suitable book to start learning Korean. I notice some of the text book in the market actually teaching in latin script (romanization of Korean) instead of Hangul, but I still prefer Hangul, as I can learn reading their word at the same time. They all use Hangul. I wouldn’t recommend books that use romanized letters especially considering that learning the Hangul is so easy. The ease of learning Hangeul is misleading. Korean displays the same, if not so severe, disjunction between graphic and spoken forms. Romanization, particularly the highly readable older McCune–Reischauer system, is a much closer match to actual Korean pronunciation. The rules of liaison, elision, assimilation, etc., especially in concert with the block-arrangement of syllables, present exceptional barriers to the necessary process of absorbing semantic and syntactic content right off the page. What small discrepancies in pronunciation that remain are obviated by the process of studying silently. People, even those who developed their Korean through Romanization, who recommend in favor of exclusive Hangeul, even for beginners have forgotten the long climb up the mountain in their early months. The matter is only partly mitigated by the almost universal availability of recordings with every course: the naive beginner—especially entirely self-studying—hearing ‘hamnida’ may not immediately assimilate it and may rather unconciously favor the clear Hangeul written evidence of ‘hap/bnida’, although that’s a rather obvious example that many books would single out for illustration of nasal assimilation. When i did Korean in university, I didn’t bother with romanization, and went straight for the native orthography. All the other students were scribbling out crib-notes in transliteration, not even the more accurate romanization, for in-class convo practice sessions, and they quickly got far ahead of me. This in spite of the fact that they were using the magisterial King/Yeon textbook (King taught there, incidentally), which had no love lost for romanization of any sort. Nor was it a class of dummies; this was a high-end course and most of us had experience in other languages already, many in Chinese and Japanese. It’s just that they had enough sense to cross the stream at its narrowest point. I strongly recommend getting a book that uses romanization; it is especially valuable for dialogue scenes, vocab, and grammar explanations. You won’t spend your time wading laboriously through the surface, graphic, nuances of Hangeul, and you will be the more effortlessly assimilating the deep structure—the meat—of what spoken Korean is really about. My biggest concern is self-taught. I love korean culture and language and I’ve been trying to learn wrighting,reading and convercing in hangul, but since I’m only 16 it’s really hard to get a grasp on and not to easy to find textbooks or such at a library. Especially the ones I’ve been to. What can I do? I’m self-taught as well and had the same problem as you. It took me forever to find something suitable for me. 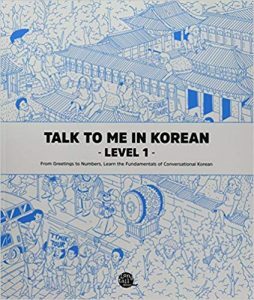 If you haven’t already, I would recommend checking out Talk to Me in Korean (TTMIK) at http://www.talktomeinkorean.com/. They have a ton of great lessons (if you don’t mind starting in short-lecture format), workbooks, and other support material. So far it’s the best free material I’ve run across (although you should consider donating later if you have a bit to spare). On the other hand, if you want a direct exchange partner, I would recommend mylanguageexchange.com. It’s free and so far everyone I have met has been nice and helpful. BUT, if you’d rather practice writing, I would suggest a forum like lang-8.com. They have a fantastic set up for the free membership and you get corrections directly from native speakers. If you would like to discuss more, just drop me a line~ Keep at it! Where did u get theses books from?im trying to buy them from somewhere. Thank you for that great list. I am still a beginner and therefore those books are exactly what I am looking for. 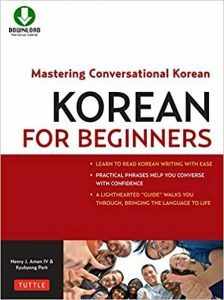 I might get myself Korean for Beginners: Mastering Conversational Korean and one of the Grammar Books. It is always very important to know the grammar of a (new) language! It really enables you to learn much faster if you can master the grammatical aspects of a language. I’m the Marketing Manager for Tuttle Publishing Languages. Thanks for reviewing so many of our Korean books! If you would like to see any of our newer titles, I would love to send you some review copies. 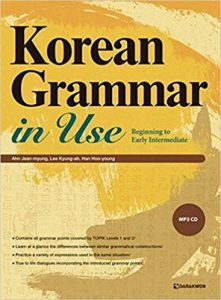 In particular, Kyubyong Park, the author of Korean for Beginners, has a Korean grammar book which will be out next year. 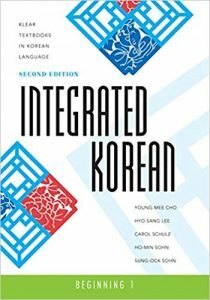 What do you think about the Integrated Korean textbook? Do you think it would be a good start for an absolute beginner? Hi Lina, thanks for the suggestion. We finally got around to reviewing the Integrated Korean and put it on our updated list (above). Hi, I’m English and I’m 12 and I’m trying to teach myself Korean so which textbooks are the best for me (I already know some Hangul). I want to good in all fields (reading,writing,speaking and listening). i would really like someone send to me in email korean learning sites (best) or i would really like internet learning book in gmail.com it would be the BEST! I use http://www.howtostudykorean.com and I am LOVING it! 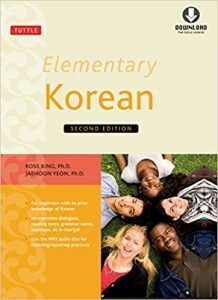 Hi thank you for the book info, I am going to attempt Korean and needed to inform myself about the different learning materials . I have lived in Germany 10 years and learned the language without actually sitting down to study it however I was a lot younger then , have since lived in japan and also learnt japanese this time though i studied it from the beginning . I have used a number of different methods including lingua phone , kumon etc highly recommend Kumon if you want to read and write. wonder if there is a similar correspondense course for Korean ? again thanks for your help. Hi there! I agree with all that you say. I’m also looking for a textbook with both romanisation and hangeul so that I can learn where all the sound changes occurred and hopefully not make silly mistakes in pronunciation. I am also looking for textbooks that give the literal word for word translation so that a learner can quickly get used to the word order differences. The Hollym phrase books have hangeul, romanisation, regular English translation as well as a word for.word version to show real word order. 4 lines of text per phrase. Unfortunately, they are not grammar books or textbooks. Could you kindly recommend text or grammar books that are in this format? Are the Living Language, the Teach Yourself or Colloquial series any good? Thanks. 1. Big format text. Like the Elementary Korean textbook’s workbook. 2. Emphasis on dialogue. A language book should be a near-continuous mass of conversation, with following grammar discussion illustrated therefrom. 4. Big letters for Hangeul for the first 20 pages or so. 5. Parallel, but lightly integrated initial development, of Hangeul. 6. Parallel columns of Romanization and Hangeul. Even in an intermediate book, the transcription should be available at least at the back of the book. 7. Repeat definitions for words in following dialogues: sure, people do forget words. They should reappear at least once after introduction in a previous dialogue, especially function-words and morphemes, like -e, -i, -un/nun, etc. 7. Fully transcribed Romanization from the recordings. Jaehoon Yeon, co-author of Elementary Korean, came rather close to this in his ‘Teach Yourself Korean’ book, with Mark Vincent. 8. Parallel parsed grammar. None of this ‘literally means:’ nonsense, where you don’t get the ‘literal’ meaning at all. If people want to genuinely understand even Korean idiomatic expressions, they are still entitled to a genuine seriatim parsing of each morpheme. What does ‘annyeonghaseyo’ mean, in exact order? It does have a pragmatic communicative sense, but it derives that from the meaning of each morpheme. It does not detract from the assimilation of the intent of the greeting to explain it, and it does give insights into how the language works. 8. Nothing missing, everything immediately visible. It’s exasperating to find missing definitions, missing explanations, missing entries in indices, having to search online with Google Translate (and its idiosyncrasies) or Naver, et al., and still find a key particle is not included in the translation of a passage. Naver is generally better than Google, but it would still do that sort of thing to me over and over again. I’m not very familiar with the later editions of Teach Yourself Korean, but I recall they added Hangeul to the text, while retaining the Romanization. 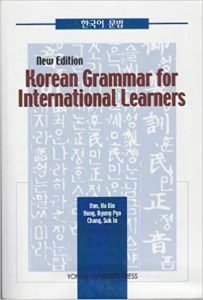 I can’t recommend any grammar book, because any serious grammar book on Korean will use little, if any, Romanization. That’s the nature of the beast. Only serious students of a language will study the grammar in depth, and they will want to learn the script of that language as well. The only grammar stuff you will see romanized (in IPA, that is) are linguistic texts and articles, intended for a linguistic audience, in which case the grammar discussion itself will present an almost impenetrable avalanche of linguistic terminology. I think the older Teach Yourself Korean (2003) was the best option, (the audio CDs are essential, incidentally) but it had its defects, and some typos. I also think the Monash University “MyKorean” is pretty good. Romanization and Hangeul are available throughout for the dialogues, but the rest is almost all Hangeul. Here’s an updated reply: Teach Yourself Korean has been re-issued last year as Complete Korean, and according to the blurb has apparently been done completely in Hangeul (Say it ain’t so, guys; Hangeul-only does nothing but weed out all but the strong, and leave the other 75% frustrated and unhappy; and quitters who would otherwise have gone on to be fluent Koreanists; and they would eventually go on to learn to read Hangeul anyway, believe it.). The 2010 edition introduced more Hangeul, but in my opinion the older 2003 TYK had it right, in spite of its venial structural oddities: you have to comb before and after a chapter or the grammar sections to fit the final 10% of a dialogue together. This is more annoying than it sounds. That 10% represents as much as the assimilation of the rest of the convo put together, and sometimes you’ll have to scour Google translate or Naver to get the whole thing. If this forgivable mis-construction/oversight has not been fixed and has been superadded to the Hangeul-only format, then it’s not likely I could recommend the latest version to anyone, outstanding credentials of the authors notwithstanding; they’ve fallen into a pedagogical black hole. Dig up a pre-2010 edition of Teach Yourself Korean in a used bookstore, find it on Amazon, or a library or something. Be sure to get an audio version. Too much of the recordings go too fast, but once you’ve absorbed the first 10 chapters dialogues, you can go back and start piecing together the spoken material. (You can do better with the audio by downloading the free app “Audacity”, an excellent sound display and manipulation tool, used by many audio professionals. It will take about an hour to figure out the basic functions, but just those will greatly enhance the ways you can step-through, repeat, slow the tempo (degraded pronunciation, but great intelligibility, then you can listen again at normal speed) and the like. I recommend Audacity for any language-learner. PRAAT is also useful, but a bit daunting for non-linguists). Also, don’t pay to much attention to the exercises and whatnot. Do them later. Just make sure you’ve got all the dialogues down pat. And do practice the Hangeul, but do it incrementally, and in parallel. Remember that Hangeul does not represent anything like Korean spoken on the street. It does better than English written-to-spoken, but that’s not saying much; English has that differential just too horrible for words. I want to say this because Koreanphiles seem only too willing to regard the script as manna fallen from heaven. It has its felicities, and keyboard layout in Korean is as well-planned as the characters. It’s just that Hangeul doesn’t bear enough resemblance to real spoken Korean to matter, Romanization is substantially better, aligns more fluidly with audio in a course, and again, allows a much faster assimilation and internalization of the syntactic, morphological, grammatical, semantic, etc., content: the critical material that is converted to surface form for production, and perception, in conversation. You might consider finding a Korean friend who can explain some of the words you can’t track down in the book, or do a language-exchange thing with Koreans wanting to learn English, or talk to a native tutor once a week for an hour. They can clarify anything that you can’t figure out. But you may wind up with more advice than you need or can use, so use the time judiciously. There have been dozens of Amazon and other reviews of TYK up to and including the 2010 edition, but I can’t go through all the complaints and defects that have been reported. I’ve given what I consider the most problematic areas, but have not found it ridden with errors (one reviewer), or that the audio doesn’t correspond to the text, (I’ve listened to it, the dialogues match the audio, perhaps some lot was mis-packaged or something). And of course, some people just plain don’t like the methodology, there will always be those. The fact is that Korean is one of the hardest languages in the world, and to some extent you’re going to escape the frying-pan for the fire. Korean was rated just behind Japanese, as a Category III language for trouble for Anglophones by the U.S. State Department, and this assessment was re-confirmed by an unclassified NSA study. If we leave out the incredibly difficult Japanese script, that was a factor in the assessment, Korean is probably equal to Japanese in difficulty. So, if you stick with it, with a non-ornery course like the old TYK, and start talking to Korean people, you have done yourself proud. 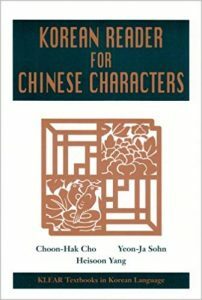 Having said all that, the takeaway message is that the Romanization throughout in the older Teach Yourself version is more convenience than the aforementioned annoyances are a drawback; and of the commercial courses, will probably take you the furthest toward actual fluency by means of more advanced material. I’m not going to compare with Rosetta, Rocket, Pimsleur, etc. That’s a whole ‘nother battle. Finally: an informal survey found that of students of Korean who actually become fluent communicators in the language, and not quitters or language-learners-but-never-finishers, the fewest of them learned through college/university courses. I’m afraid courses of the sort employing the Ross King/Jaehoon Yeon Elementary Korean textbooks and the like, and almost every other language courses (I took enough of them in university, so I feel the pain) in university have contributed greatly to this high attrition. Wow! Thanks for those 2 wonderful posts. I apologise for the late reply as I wasn’t watching this page after a while. I agree with many of your perceptive insights into this subject. I’ve come across some books that claim or attempt to give word for word translation of the korean words in a sentence but frequently fall short by oft times giving their own idiosyncratic turn of phrase re-rendering that detracts from the actual dictionary meaning of a particular word. Some do the word for word thing pretty well but have no romanization or have it only for a few chapters. I think I have one of the previous versions of TY Korean that has full hangeul / romanization for the dialogue part at least. I think I’ll also get a copy of Colloquial Korean as well. It also has hangeul and romanization for the dialogues at least. The grammar explanations seem to be a curious mix of hangeul only or romanization at times. I think my coping strategy would be to deface my copy of these books by transcribing the romanization where needed to facilitate faster reading and memorisation of important vocabulary and syntactical elements. I wish someone with your insights would be in the editorial team of every language learning book about to be published so that the needs of the learner would be seriously addressed. Thanks again for taking the time to answer my questions and for offering your wonderful insights. I recently started learning Korean for a business trip to Seoul. I came across Get Talkng Korean, an audio based course with a downloadable course book that really helps learn the language you actually need for a trip to Korea and quickly. It isn’t academic, unlike the other available books, and really gave me the phrases I needed. I recommend it! Get them all. Use them all. Invest in your learning. Hi i’m Bangladeshi.I speak in bangla.I’m also interested in korean language but i have no idea about it so as a beginer which one will be healpful for me? I came across your site while searching for textbooks to teach English to Korean speakers. When I was learning Korean, we used the KLEAR textbooks (University of Hawaii Press). Having studied a total of four foreign languages, these books and supporting materials (workbooks, mp3 files, etc) were among the best I have ever come across. In fact, the books are so good, that all you really need is an answer key to the workbooks in order to skip the classroom altogether & just use them on your own. What if I dont have an answer key? Can I still skip the classroom? Or do they sell the answer key? If you study Korean by yourself, and want to SPEAK, try this book. 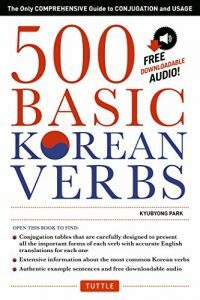 http://www.koreanfashionista.com/korean-books/korean-grammar-speaking.html It has just published and has a lot of worksheets, vocabulary list, tests, and answers. Every grammar is simplified so you just have to “plug in the pieces”. Sorry if this sounds silly but exactly what do you mean by “plug in the pieces”? I started to learn Korean too, only since few weeks. I can tell you that learning with ‘Talk to me in Korean’ is really fun. Loads of audio lessons, workbooks, textbooks, videos.. some are free, the others not, but still affordable. You can follow them also on Facebook. Really enjoying every lesson. Hi, may i ask where you buy these books from? I’m really interested in learning korean but i have no idea where i can buy these textbooks from 🙁 by the way, this was really helpful! Hello!!! I was wondering about Hanja… I know kanji characters from taking Japanese courses and I know that the pronunciations are different between Korean, Japanese, and Chinese languages, but Hanja and Kanji characters all have the same basic meaning right? LOL just double checking before I go and buy another book… Thanks! How long would you say learning korean takes ? And how many hours a week would i have to study? The first one is really in depth and simple to follow. The second is good for beginners and learning in a fun way. Thanks for this post! Hi! I am in South Korea for a month and looking for Ewha and Sogang books. Do you have any idea where to get them in Seoul? The universities’ pages don’t sell them(at least not on their web page). Amazon it would be my last resort, but they are overpriced. Lots of korean learning books and workbooks are a lot more cheaper than buying in Europe or USA. I have bought Active Korean 1 by Language Education Institute, Seoul National University for $30 – actual price is KRW 15,000. Active Korean is actually a very good book to learn from, not very stuffy, 2in1- book and workbook. Due the fact that I visited more than 10 times, I would prefer to buy the books here, in Seoul. I will try my luck in book stores these days.